MTN on Thursday advised shareholders not to make decisions based on press reports after the telecommunications group’s shares were knocked down by more than 10% on speculation that its fine in Nigeria could be hiked to R240bn. The shares were also knocked lower after going “ex dividend”. MTN paid an R8,30/share dividend on Thursday. However, the share price was last seen trading down by more than R14/share. 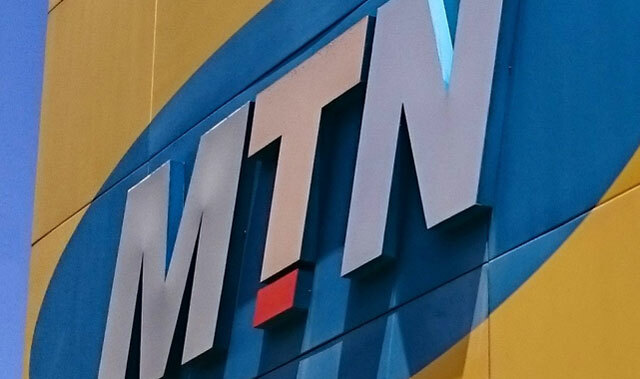 Nigeria’s ThisDay newspaper and other media outlets reported that lawmakers said that MTN Nigeria should have been fined 3,12 trillion naira (about R243bn), instead of the 1,04 trillion naira originally imposed (and later reduced to 780 billion naira). The Nigerian house of representatives has taken issue with what it calls an unconstitutional review of the fine imposed on MTN by the Nigerian Communications Commission for failing to cut off more than 5m unregistered Sim cards. The lawmaking body warned that reducing the fine to the 780bn proposed would require an amendment to regulations, which stipulate that a fine of 200 000 naira must be imposed for each unregistered Sim card not disconnected. On Thursday, MTN told shareholders that it had “noted” reports in the Nigerian Media. “MTN continues to engage with Nigerian authorities in an attempt to ensure an amicable resolution to this matter in the interests of MTN Nigeria, its stakeholders and the Nigerian authorities,” it added. I guess this will take a few months to end and will affect them badly in the next few months. If there is a law in a country, any entity operating in that country should subject itself to that law. If a law is unfair, such should be challenged for that unfairness either at the time of awareness of the unfairness of the law or after realizing that the provision is indeed unconstitutional. If for any reason, a company fails to uphold the Constitution of a country to an extent that such failure invokes a punishment provided in a statute, such a sanction should be due to the state in which the law is applicable, it cannot be said that a law is unfair because a company is a first to be punished as provided. This is not a matter in which MTN will come out on top. Nigerian authorities hold all the aces and the longer they pussyfoot around this matter, the worse it’ll end for them. If I were calling the shots on this fine, I would threatening to hike the price every month they do not pay + I would definitely be charging them interest for the delay. This is a matter in which I have zero sympathy for the operator. They deserve to be nailed for not ensuring the sim cards were blacklisted / permanently terminated. Their greed is the root cause of this fine. Serves them right! This is the first I’ve heard of this – I’ve read that the other mobile providers complied with the law; is this also a mis-report? Was the law applied to MTN differently? And why couldn’t MTN just cut the customers off? All the other operators did it. MTN did it in South Africa when we had a similar deadline. Nigeria is MTN’s biggest source of revenue, they can’t just walk away from it. As far as lies go, this is a false tale in a class of its own. Your tale has no bearing with reality. For the last three months MTN has been busy trying to deregister over 6 million subscribers for whom the sim registration was incompletely done in the past. The simple reason is how come no other operator is doing a similar sim registration in similar measure? Simple answer; MTN made a mess of the original registration. Either used substandard equipment or did not even take the process seriously at all. This is a different but closely related matter to the non deleting of unregistered sims. While I am no fan of the size of the fine, as I think the regulator exhibited naivety and a lack of foresight in setting such unit fine, I find your tale completely incredulous and not bearing with reality and needs to be pointed out before sand persons believe it. Absolutely agree with you, especially the greed aspect!